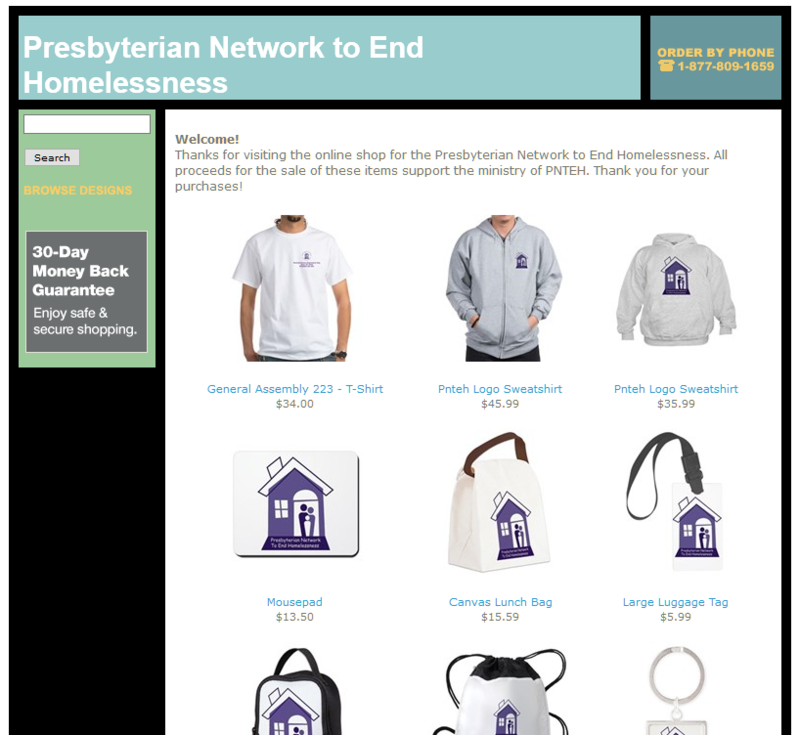 Did you know the Presbyterian Network to End Homelessness has a store open on CafePress? We've got t-shirts, buttons, water bottles, watches, and more! All profits from this store support our mission to end homelessness, and using these products shows your support for these efforts!